Had a good day out at the Ace Cafe today. 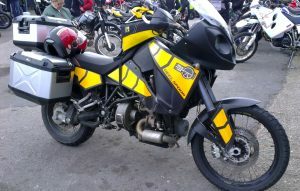 Catching up with a bunch of fellow Fazer riders from the FOC-U.co.uk forum, bumped into some of the LondonBikers too. It was Overland & Adventure bike day at the Ace, with the place rammed with huge Dakka and globe crossing bikes, loads of big Beemers, KTM’s and Triumph adventure bike. My Fazer didn’t wholly fit, but that didn’t matter, it was great to check out other styles of biking. 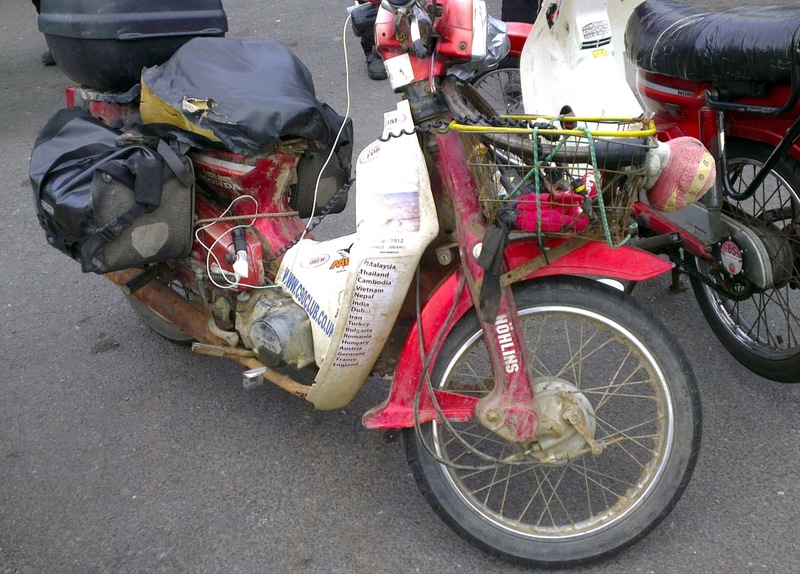 The day also saw off Steph Jeavons on here sole trip round the globe on a little Honda CRF250. Of all the bikes on show today, a couple took my eye. The first was this Track T-800CDI turbo diesel bike. Yep diesel. A small Dutch brand, with a mad old diesel engine from a Merc Smart car, a shaft drive train from a BMW and some other crazy spec gear intended to get a half million miles out of the bike with ease! More info and review here in Telegraph. The other funky bike was this cute little C-90, that has quite obviously been around the globe. A lot of respect goes out to someone for attempting a round the world two wheel trip, but on to do it one these takes a special blend of balls and craziness. Previous PostTinkering With The ZZR400Next PostZZR Gone!